Daimler AG employees assemble S-class vehicles at the Mercedes-Benz-Werk factory in Sindelfingen, Germany, 22 September 2015. Robots might be better at driving than people. They might also be better at solving a Rubik's Cube. Turns out, though, there's still one place in the world where humans still outshine robots: a Mercedes-Benz assembly plant. According to Bloomberg, the intricate options offered on the new S-Class — from heated and cooled cupholders to four different types of tire valve stem caps — overwhelm traditional automotive assembly robots. Accordingly, Mercedes has begun replacing them with human workers. 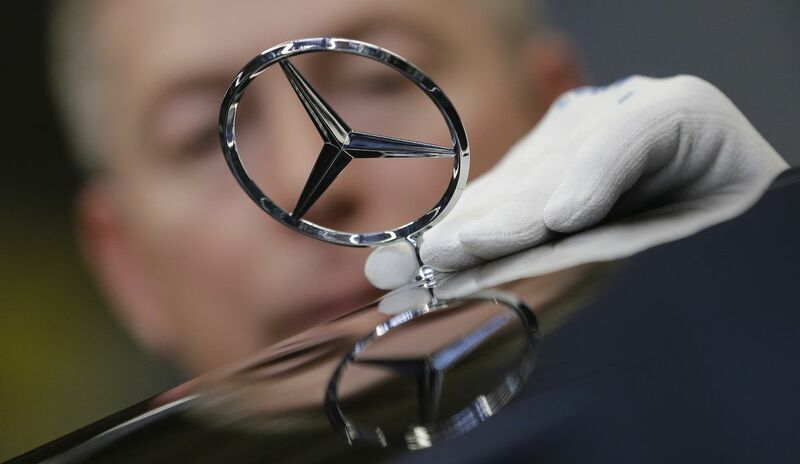 In this Jan 28, 2015 picture an employee attaches a Mercedes emblem as he assembles a Mercedes-Benz S-class model at the plant in Sindelfingen, Germany. There are several reasons for this switch. We've entered an automotive market in which simply buying a luxury car isn't enough; buyers are increasingly compelled to customize their cars. Not only do bespoke features distinguish their car from the rest, optional extras have proved hugely profitable for carmakers, as they come at a premium. Of course, this shift at Mercedes' Sindelfingen, Germany, plant doesn't represent a wholesale replacement of robots. Machines still do a great job at the repetitive jobs like welding, painting and engine installation. It's just the quick adaptation from specially optioned car to specially optioned car during the build process where people shine brightest. So, if you're worried robots are going to one day take over, I am sorry to say I can't assuage your fears. They still might. Just not when it comes to assembling Mercedes-Benzes.